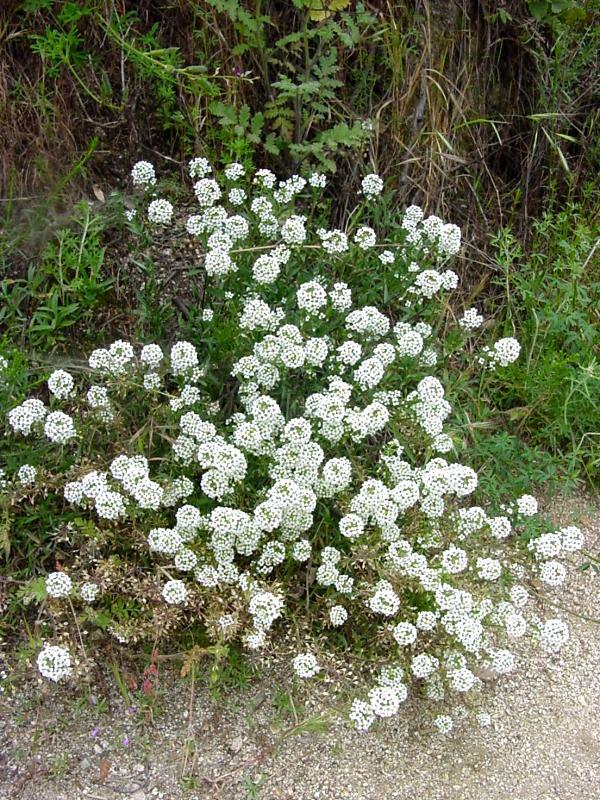 Sweet alyssum is a low, much-branched and spreading perennial 2" to 10" tall with prostrate to decumbent stems and entire, alternate, linear to linear-lanceolate leaves 3/8" to 2" long. The small, white, fragrant flowers are in terminal racemes, and there are four widely-obovate petals, four sepals, and, as is fairly typical in the mustard family, 6 stamens, 4 long and 2 short. The fruit is an orbicular silicle about 1/8" long with two brown round-oblong seeds. 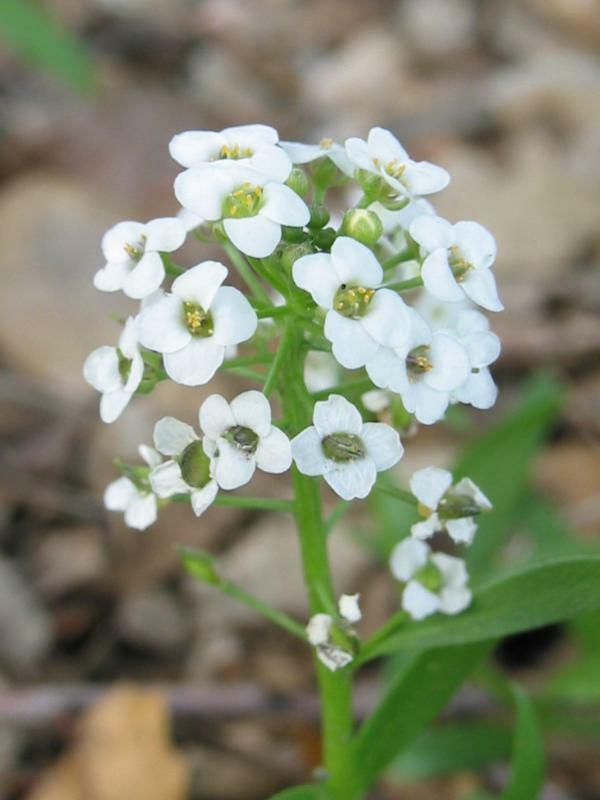 Sweet alyssum is very often cultivated and is frequently seen as a garden escape and naturalized in waste places and along trails and roadsides at low elevations, also along stream banks and beaches, blooming for most of the year. A purple variant is less often seen but is also cultivated. 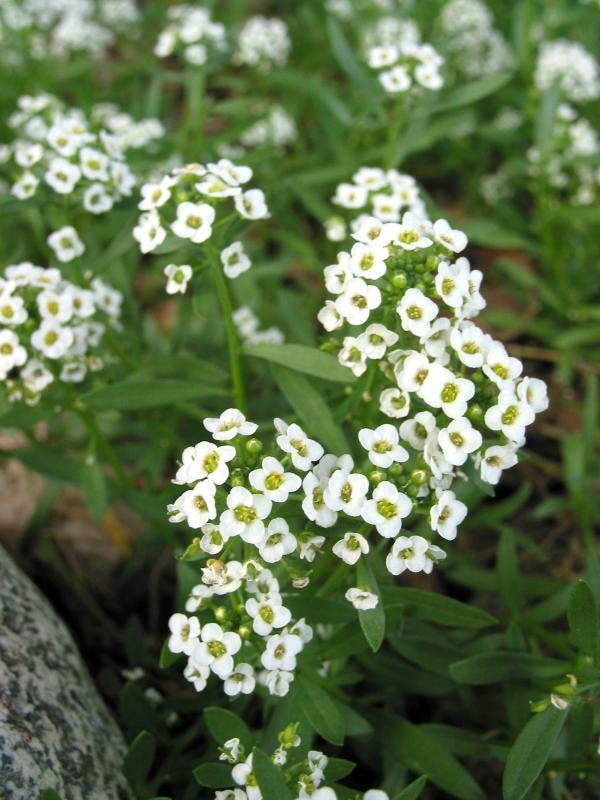 Sweet alyssum is a native of Europe. Click here for Latin name derivations: 1) Lobularia 2) maritima.